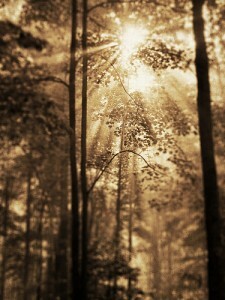 Ah, sunlight! When all the machinations are revealed, it’s a lot harder to get away with being unethical. Apparently Wikipedia almost joined the media outlets operating a cover-up of the Gosnell baby-killing trial. For a while a debate raged on the site, with an editor advocating that the article about the abortion doctor at the center of the horrific allegations and testimony be deleted entirely, because Gosnell’s trial is only a “local multiple-murder story in Pennsylvania.” Yes, and the Newtown murders are just a multiple-murder story in Connecticut. Outright hoaxes stay on the site for years, puff piece entries on virtual non-entities and insignificant organizations clog it, but a case with major policy implications bearing on a contentious national, bioethics and human rights issue of long-standing isn’t worthy of a page? The editor in this case, whoever he is, is too biased and incompetent to hold the position. Had his argument prevailed, Wikipedia’s credibility and perceived trustworthiness would have been severely diminished, for an encyclopedia cannot have an ideological agenda, and the desire to marginalize the Gosnell story is smoking-gun proof of one. Luckily, Wikipedia got it right in the end, and the article survived. What saved Wiki was transparency. The argument about the Gosnell article was open and public, and ethics always benefits when transparency reigns. You would think that would be one of the news media’s mottos…but not, apparently, when it means letting the public know how it is that certain stories get buried, marginalized and ignored. Have you heard about the Gosnell trial? 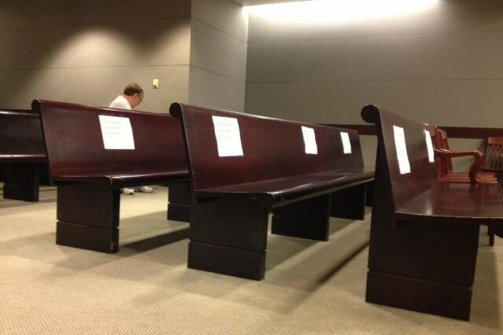 The reserved press section at the Gosnell trial, because, apparently, baby-killing is no longer news in America. Neither had I until recently, and there’s a reason for that: the news media doesn’t want you to hear about it. Not just the news media, however; elected public officials, advocacy organizations, bloggers and social media-users apparently don’t want you to know about the trial either, because it graphically and sickeningly exposes the ugly and brutal side of abortion, which owes its continuing legal status and public support to the avoidance of inconvenient truths. Imagine, if you will, a Sandy Hook massacre that the national media and politicians decided to ignore as a “local story,” because they knew it would spark a national debate over gun control. Imagine Piers Morgan, CNN, Andrea Mitchell, Chris Matthews, Fox News and the rest scrupulously concentrating on other news stories so what they believed would pose a possible threat to Second Amendment rights would “blow over” without leaving any mark on public opinion. Imagine all of these and more concluding that the incident would be hyped and shamelessly exploited by anti-gun advocates, perhaps leading to a tipping point in societal attitudes toward gun violence, so in order to prevent this possibility, the story, and the deaths of the children, were deliberately marginalized and kept out of the public eye. Would that trouble you? Anger you? Frighten you? Would it cause you to worry that our democracy is becoming a sham, with fact and truth being manipulated so that our Constitutional rights of self-government were a sham and an illusion?